To celebrate St. Patrick’s Day, I have made simple and delicious Ballymaloe Irish Stew for Two (or Four). I think you’ll really love it, so let’s get to it! Ballymaloe Irish Stew is named for the Ballymaloe Country House Hotel in County Cork, Ireland. 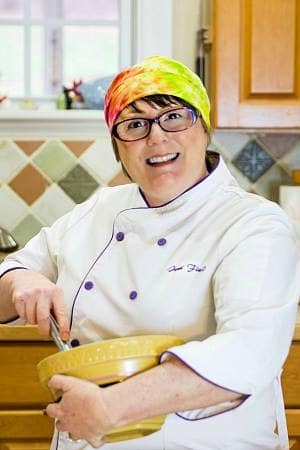 The Allen family has lovingly run the inn, restaurant, and cooking school since 1964, and their guiding principal is use what you have on hand, get the rest locally, and let the ingredients shine. I’m not sure if they’re the original farm to fork restaurant, but they certainly could have helped pioneer the idea. Look up recipes for Irish Stew or lamb stew, you’re apt to find ones with hugely long ingredient lists that might include tomato paste, mustard, Worcestershire sauce, Guinness Stout, wine, bay leaves, celery and more. While these versions of Irish stew are no doubt very tasty, they are rather complicated. There’s nothing wrong with complicated recipes–I am often a fan of complicated. But there is also beauty in simplicity and in letting ingredients shine with a minimum of enhancements. Carrots, onions, potatoes, and simple seasoning combined with a long cooking process yield a sweet, complex and very approachable stew welcome on cold nights. 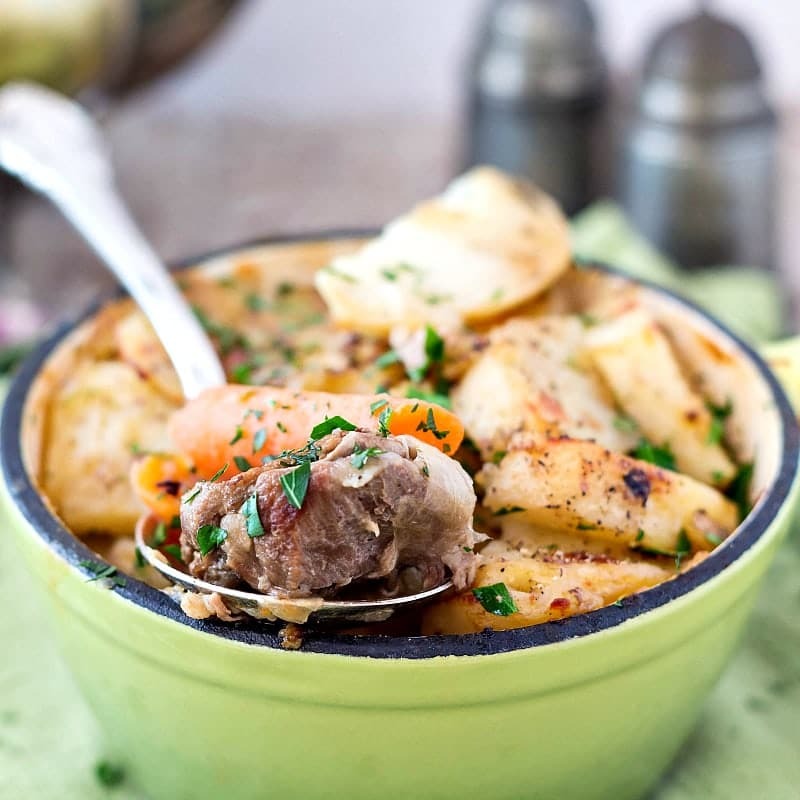 Ballymaloe Irish Stew for Two very hungry people or four not so hungry people is closely based on the original recipe. I took some liberties with plating but not with the ingredients themselves. 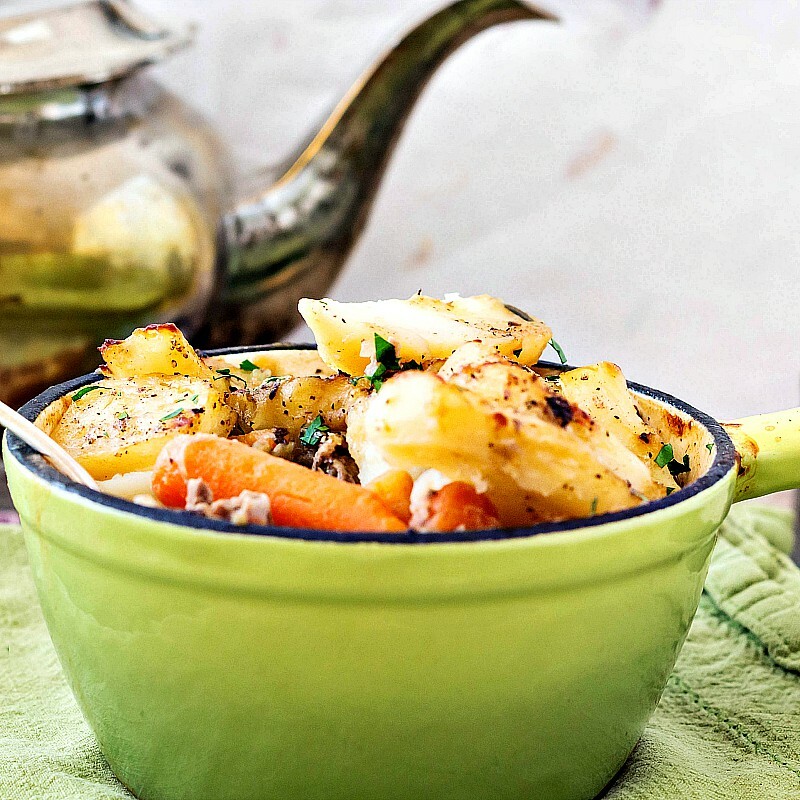 You're going to love this simple and traditional Irish stew. Cut off any fat on the loin chops. Set the meat aside. In a medium, heavy bottomed saucepan, render the lamb fat over medium low heat. Discard "cracklin's." Set aside half the fat (maybe 1 tablespoon or so) Increase the heat to medium high. Season the lamb with salt and pepper and brown well in the lamb fat. Remove from the pan. Add the reserved lamb fat, and cook the onions and carrots with a bit of salt and pepper until caramelized in spots and somewhat softened, about ten minutes. Pour in the chicken stock and add the thyme sprigs. Peel the potatoes and nestle them into the liquid. Cover the pan with a tight-fitting lid and bring to a boil. Reduce the heat to a simmer and simmer, covered, until the potatoes are cooked through, about an hour. Carefully turn the potatoes after half an hour. Remove the potatoes from the liquid and set aside to cool. Continue to simmer the lamb and vegetables for another hour. Taste and adjust seasonings, remove the bones from the chops and discard. Cut the meat into bite-sized pieces and return to the pot. Cool and refrigerate the stew and the potatoes overnight or up to three days. When you're ready to assemble and serve the stew, preheat the oven to 350F. Divide the stew evenly between two two-cup oven-safe cups or bowls or four one-cup oven-safe cups or bowls. Slice the potatoes into thick discs and arrange them on top of the stew in each bowl. Try to completely cover the stew with the potato slices. It's fine if you have two layers of potatoes. Top each serving with a sprig or two each of parsley and thyme, a couple of thin pats of Irish butter, salt and pepper. Cover each bowl with parchment and then foil. Place on a try to catch any spills, and bake for an hour. Take off parchment and foil and broil until the potatoes brown in spots, about 3-5 minutes. Allow stew to cool for ten minutes before serving. 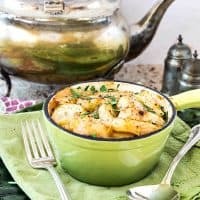 Here are my recommendations for equipment to make Ballymaloe Irish Stew for Two (or any other stew recipes that you want to serve individually). Thank you for supporting PCO by shopping through my affiliate links. 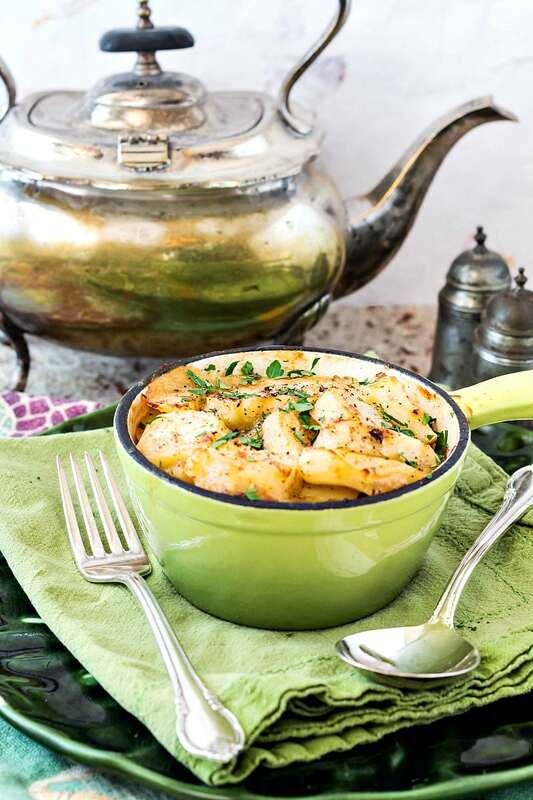 Have a wonderful St. Patrick’s Day, and enjoy the Ballymaloe Irish Stew for Two! Oddly enough, I have been on the lookout for a great stew recipe for years – and lamb even better than beef! This looks perfect and the quantities look like they’d indeed do for me and JP. Delicious and comforting, I guess that’s why I love stew. You guys will love it. A long cooking process, but so easy!